Rogers plan to launch an LTE Cat M1 network (LTE-M) to help businesses connect and track their assets in real time – using solutions such as logistics tracking, alarm monitoring, and smart metering. LTE-M will connect fixed and mobile low-power IoT devices to carry critical information over long distances, with longer battery life and better network coverage in hard to reach areas. This investment in LTE-M will make IoT solutions more accessible for Canadian businesses, to help them innovate and save money and time. Network speeds and pricing weren’t announced. LTE-M is used for fixed and mobile low-power IoT devices sending/receiving data over long distances, particularly for devices needing longer battery life and better network coverage in hard to reach areas. Telecommunications companies have a long list of potential IoT uses including monitoring pipelines, tracking tools, pallets and factory equipment, home smart meters, monitoring waste bins, street lighting sensors and building infrastructure (HVAC). Rogers’ LTE-M website notes that while an IoT device can be installed in an underground parking garage, thick concrete walls can impact coverage, An LTE-based network will help. The site says LTE-M will offer enhanced wireless coverage; low device cost, because devices for that network are less expensive than current devices; less power drain and extended battery life. LTE-M also can handoff from a Wi-Fi to a cellular network, making it practical for mobile asset tracking needs such as monitoring shipping containers, fleet vehicles or people (for example, patient monitoring). LTE-M supports voice recognition, which is important for alarms and security applications. Various wireless LANs and WANs are necessary to linking all the Internet of Things (IoT) devices that will give rise to smart cities. 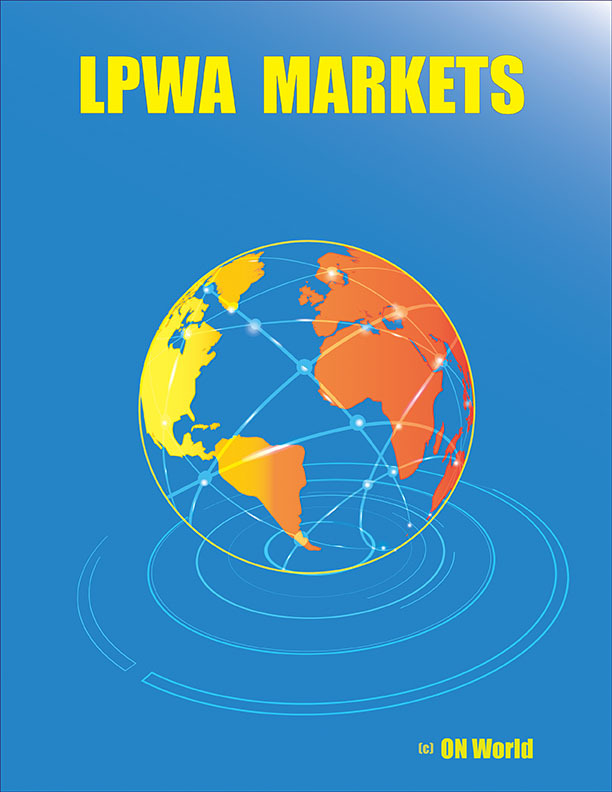 Some of those wireless networks include: Bluetooth Low Energy, ZigBee, Wi‑Fi and cellular technologies are all established, but low power wide area (LPWA) networking technologies, such as Sigfox, LoRa, LTE-M and NB-IoT are emerging as IoT disruptors. According to analyst ON World, there could be as many as 2.6 billion connected, wireless IoT devices for smart cities, with LPWA networks suitable for 60% of those connections. LPWA networks are increasingly used outdoors in parking, utilities, pollution monitoring and other applications that require wireless communication via always-on nodes in a network. “Different wireless protocols have different benefits, but where the use case is moving sensor data or small amounts of data, LoRa is designed specifically for that,” says Dave Armour, strategic marketing manager for wireless products at Semtech. The company licenses the proprietary LoRa technology and is a founder member of the LoRa Alliance. LoRa is based on a transceiver design and uses an unlicensed spectrum, allowing users the option to deploy their own gateways or have their own devices communicate with third party networks, explains Samir Hennaoui, product manager, LPWA at Murata Europe. “Some cities have deployed networks based on LoRa that are free to access and service providers have appeared that rent access to their gateways,” he says. A spread-spectrum modulation scheme supports data rates from 300bit/s to 50kbit/s to overcome the problem of interference in the shared RF band. 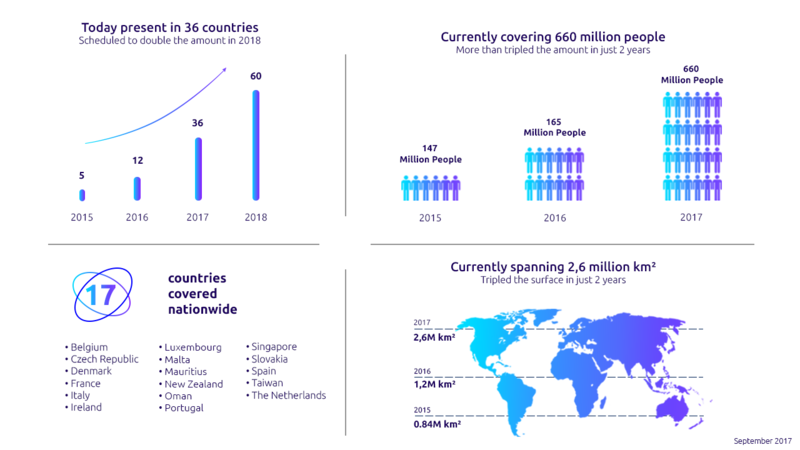 Sigfox, a low-cost, wide area M2M technology developed in 2010 by a French company of the same name, probably has the largest market share for LPWA networks today. Data rates for this technology are 10bit/s to 1kbit/s. The main differences between the two are range – Sigfox uses narrowband transmission to achieve up to 50km and LoRa has a range of up to 30km – and that LoRa is bi-directional, whereas Sigfox is not. “Range depends on a number of things,” concedes Armour. With gateways on top of buildings, the range is more than with a gateway inside the building. “In big open areas we are getting tens of kilometres range typically,” he says, “for sending messages from the sensor back to the gateway in the cloud and also getting updates from the cloud back down to the sensor. “Most technology allows you to send messages back to the network, but LoRa also enables you to receive messages from the network,” says Armour. This, he adds, is a key characteristic, as LoRa will be deployed in devices that are expected to be in long term use, for example parking sensors or occupancy sensors that can be updated over the air (OTA) rather than needing to be physically removed for updates. The same OTA functionality can be used for security, which Armour describes as a moving target. A multi‑level AES encryption is the default in the protocol. “Encrypted data is sent from the sensor and goes on to the network encrypted. It is only when its gets to the end-user, who has registered the device, that they can unlock the data and decrypt it,” he explains. “LoRa is designed specifically for moving sensor data, or small amounts of data,” says Armour. “It can do that over a very long range and at exceptionally low power. The consumption depends on the use case, but some of the sensors can run on coin cell batteries for over 10 years,” he says. “The great thing with sensors is that we can install a large number on a gateway in a building and all the data goes easily back into the cloud where you can start to make use of it,” says Armour. Sensors can be used to adjust heating and lighting according to the number of tenants in a building, or to adjust the billing in multi-occupancy buildings. LoRa is also used for location services, to track goods, using the two-way communications capability. “LoRa allows you to locate devices reasonably accurately at low power. If your data starts coming from a location that makes no sense to you, that may be because someone is spoofing, or the device has been stolen or moved,” Armour added. Semtech, the only supplier of LoRa silicon intellectual property, has announced its next generation of LoRa chipsets, with reduced receiver current and high power option to extend the sensors’ battery life. The SX1262 (the +22dBm option), the SX1261 (+15dBm) and the SX1268 (+22dBm, China frequency bands) are claimed to extend the battery life of LoRa-based sensors by up to 30%. The chipsets have a footprint of 4x4mm, which is 45% less than the earlier device and they can be configured to meet application requirements using the LoRaWAN open standard. Frequency coverage is 150MHz to 960MHz and a spreading factor of SF5 supports dense networks. The chipsets also support FSK modulation, making them compatible with legacy protocols. AT&T has announced plans to acquire cybersecurity company AlienVault. Terms of the deal were not disclosed. Founded in 2007, AlienVault offers a number of tools for detecting and responding to security threats through its Unified Security Management (USM) platform, while its Open Threat Exchange (OTX) platform serves as an online community where security professionals and researchers can share their latest findings and threat data. AT& already offers cellular LPWAN services (LTE Category 1 and LTE Category M1) for its IoT customers who want to connect devices, assets and equipment to the cloud. Now, AT&T says NB-IoT opens up new use cases for IoT. However, the company did not reveal pricing for its NB-IoT data plan(s). Shiraz said AT&T has a lot of customers in the security and alarm industries, and that many of these companies are evaluating IoT technology and learning that NB-IoT may serve their needs best. Alarms and locks are often located deep within buildings, so using cellular connectivity to monitor equipment health requires radio transmissions that can penetrate thick walls. A total of 48 commercial narrowband IoT (NB-IoT) and LTE-category M (LTE-M) have been launched worldwide as of the end of April, according to the GSMA. Statistics from GSMA show that 13 mobile operators have deployed mobile IoT solutions, including all of China’s big three wireless network operators – China Mobile, China Telecom and China Unicom. South Korea’s KT, LG Uplus, Singapore’s M1, Australia’s Telstra, Sri Lanka’s Dialog Axiata and Mobitel, Taiwan’s Far EasTone and Chunghwa Telecom, Japan’s KDDI, Thailand’s True Corp and Vodafone Group have also adopted the technology. NB-IoT deployments are currently a lot more common than LTE-M, although some operators including Singtel and Australia’s Telstra have deployed both technologies. AT&T, Verizon, and Sprint have all announced LTE-M. T-Mobile has only announced support for NB-IoT. Note that both NB-IoT and LTE-M operate over licensed spectrum, which is much more reliable than unlicensed spectrum used in Sigfox and LoRa. Those latter two LPWANs are much more widely deployed then NB-IoT and LTE-M combined. During an IoT World panel session on Tuesday May 15th, France chip design house Sequans Communications announced that both Verizon and AT&T would be selling their combined NB-IoT/LTE-M module for $7.50. Verizon has certified Sequans” Monarch SiP (system-in-package) LTE-M/NB-IoT connectivity solution. This module integrates Sequans’ Monarch LTE baseband platform with an RF front-end module in the world’s smallest form factor. Monarch SiP was introduced in late February and is now listed on Verizon’s Open Development website as an approved module. Complete details are available here. In a recent blog post, Nick Hunn claimed there are 13 companies (now 17) that have announced NB-IoT chips. If you count up real NB-IoT deployments, it’s still early days. There are probably fewer than 10 million chips deployed. That’s the figure from Huawei, who is certainly leading the field. How many of those are actually connected and sending data back is questionable – the last year has largely been an exercise in getting things to work and spinning the PR. Nevertheless, Huawei is predicting that by the end of 2018 the number of chip shipments will reach 150 million, which, given the focus on NB-IoT within China, may well happen. The big question is what will happen in the rest of the world. To understand that, it’s interesting to look at the different companies which will be producing silicon. The thirteen companies I’m aware of (please let me know if you know of any others) are HiSilicon (part of Huawei), Sanechips (a division of ZTE), RDA, Mediatek, Altair (owned by Sony), Sequans, Nordic Semiconductor, Goodix, Riot Micro, Qualcomm and Nesslab, along with ARM and ASTRI/CEVA. ARM and the ASTRI / CEVA partnership are IP vendors, but appear to be at a state where they are already behind some of the offerings, so are worth including, as if anyone plans to ship in volume, they’re an obvious destination. ARM is further differentiating itself by offering a wider-ranging IoT service including device management and aspects of provisioning. I need to apologise for missing GCT, which brings it up to fourteen. And since writing this I’ve been made aware of a further three – Pinecone Electronics (who have Xiaomi as an investor and appear to be building on ASTRI’s IP), Extra Dimensions Technology – a Beijing startup and Eigencomm – a Shanghai startup. That further highlights the China centric concentration and reflects the amount of Government support being put in to make China the leader in IoT. So we have a sweet seventeen, with probably more to come. A new GSMA white paper explains how NB-IoT and LTE-M technologies are an integral part of 5G. It also highlights that both NB-IoT and LTE-M will continue to serve LPWA 5G use cases, and will coexist alongside other components of 5G which meet the other various 5G use cases. GSMA says the technologies will coexist with other 5G components. Also, that 3GPP is working to allow LTE-M and NB-IoT to be placed directly in a 5G new radio frequency band, and is investigating options for the 5G core network to support LTE-M and NB-IoT radio access networks. Author’s Note: Incredible to this author, a GSMA panelist at IoT World (and others too) echoed this claim that NB-IoT and LTE-M are part of 5G. –>Next thing we’ll hear is that 2G is also part of 5G? 1. NEC has launched a new network server that complies with LoRaWAN (MAC and PHY specifications from the LoRa Alliance) to help telecoms carriers accelerate the creation of new IoT services. The new server implements device identification, data rate control and channel allocation for sensor devices complying with LoRaWAN through the LoRaWAN gateway. It also mediates data processing from each sensor device to the application server. As the LoRaWAN network server features a function for conducting flexible multi-tenant and multi-device control assuming a variety of service provision formats of communication carriers, it is capable of providing LoRaWAN network services to numerous companies and service providers. LoRaWAN Network Server Connection–Image by NEC Corp. In addition, its WebAPI capability makes it interoperable with a wide range of service applications using LoRa. This facilitates the utilization of data collected from sensor devices. “This new server enables new IoT services to be flexibly provided to telecommunications carriers in combination with gateways and end-devices,” said Shigeru Okuya, senior vice president of NEC. “NEC aims to provide LoRaWAN compliant solutions to companies around the world in the coming years as part of accelerating the creation of new IoT services and improving user convenience,” he added. “NEC’s network server integrated with Semtech’s LoRa (PHY) Technology will give operators a competitive advantage that will contribute to society,” said Marc Pegulu, General Manager and Vice President of Semtech’s Wireless and Sensing Products Group. The new NEC LoRaWAN servers will start shipping to IoT WAN connectivity providers in December. New Zealand’s Spark has contracted French IoT network solutions specialist Kerlink to support a nationwide LoRaWAN rollout in the twin island nation. Spark, the leading digital services provider in New Zealand, has already deployed the low power wide area (LPWA) network in parts of the country, and has signed on initial customers including farmer co-operatives Farmlands and Ballance Agri-Nutrients. These companies are using the network to provide farmers with real-time information about their operations through an array of sensors. “Spark already has created use cases that will demonstrate the LoRaWAN network’s energy-efficient, geolocation connectivity that is well suited for both the wide-open spaces and urban centers of New Zealand,” Kerlink Asia Pacific sales director Arnaud Boulay said. The vendor is providing IoT stations that support bidirectional data exchange and geolocation capability and operate on the 923-MHz industrial, scientific, and medical (ISM) radio band. Other early adopters include the National Institute of Water and Atmospheric Research (NIWA), and Spark is targeting customers in key sectors such as health, safety, transportation, asset tracking and smart cities. Kerlink is a co-founder and board member of the LoRa Alliance, and has this year launched nationwide rollouts in India with Tata Communications and in Argentina. Spark already has created use cases that will demonstrate the LoRaWAN networks energy-efficient, geolocation connectivity that is well suited for both the wide-open spaces and urban centers of New Zealand. The Internet of Things (IoT) will connect existing systems and then augment those by connecting more things, thanks to wireless sensor networks and other technologies. Things on the ‘edge’ form mesh networks and can make their own automated decisions. This article reviews key messages from conference technical sessions on IoT connectivity and describes a new Wireless Mesh Sensor network which is an extension of IEEE 802.15.4. Early adopters are realizing the complexities involved in scalable mass deployment of Industrial IoT. These includes deployment complexities, security issues starting from hardware root of trust to OS, network, cloud security and application vulnerabilities, and extensibility. This session will focus on these 3 areas in-depth to help you successfully deploy your own IIoT strategy. The hardware and application layers of IoT systems are supported by robust, mature markets, with devices tailored for any use case and pre-built infrastructure platforms from Microsoft, Google and AWS. But the connectivity layer, without which the entire system is useless, still has numerous challenges. It takes too much knowledge and time to get data from sensors to apps that most staffs don’t have. The speaker discussed a streamlined, secure approach to connectivity that will make building a wireless IoT network as easy as designing a mobile app, thereby removing the greatest barrier to mass IoT adoption. As expectations tend towards personalized, data-driven services, responding immediately to market changes is becoming a key differentiator, creating the need for mutual insight on both sides of the market. Whitelabelled platforms are an effective intermediary, allowing unprecedented levels of customer interaction and paving the way for truly end-to-end IoT systems. – ‘Agnostic’ platforms ideal to integrate different types & retain adaptability (eg. connectivity management integrating device mgmt. & billing capabilities). -CMPs offer a range of services: managing global connections, introducing providers to clients, integration with hardware vendors, etc. -CMPs focus on centralized network management- not on building new services. -Application Enablement Platforms focus on device management/insight–billing hierarchy enables new business services with additional layers, e.g. analytics. 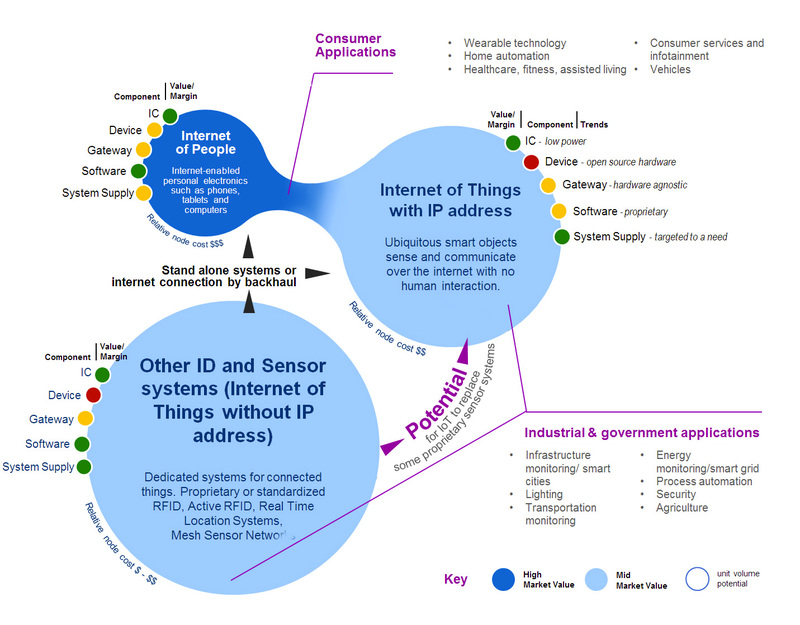 What will the IoT landscape look like in the near future? -Various connectivity technologies competing, platform technology and open-source driving software/service innovation. -Hybrid platform offers ease of management, solid foundation for building recurring revenue from value-added services – ensures business is scalable and able to roll-out services quickly. -Capable platform shifts focus from day-to-day management to building new bus. models and recurring rev. streams..
-Whitelabel platforms help to implement new business models throughout business, consolidate management of legacy and future systems, and build recurring revenue from end-to-end value-added services. Choose right platform for your business – ease-of-use, billing hierarchies, multi-tech integration key to generating recurring revenue. With a strong platform in place to future-proof devices and manage customer accounts and business, enterprise can be part of full IoT ecosystem, gaining value from every stage. Many engineers, designers and business folks want to work with IoT devices, but don’t know where to begin. Come learn which mistakes to avoid and which best practices to copy as you integrate with IoT or build your own IoT products. This presentation examines the consistent, systematic ways that IoT tends to fail and delight. The talk explained what makes IoT unique, and examined why it’s not at all easy to classify IoT platforms and devices. Until recently, most M2M and Internet of Things (IoT) applications have relied on high-speed cellular and wired networks for their wide area connectivity. Today, there are a number of IoT applications that will continue to require higher-bandwidth, however others may be better suited for low-power wide-area network options that not only compliment traditional cellular networks, but also unlock new market potential by reducing costs and increasing the flexibility of solution deployments. Low-Power Wide-Area Networks (LPWAN)s are designed to allow long range communications at low bit rates. LPWANs are ideally suited to connected objects such as sensors and “things” operating on battery power and communicating at low bit rates, which distinguishes them from the wireless WANs used for IT functions (such as Internet access). Many LPWAN alternative specifications/standards have emerged – some use licensed spectrum such as ITU-R LTE Cat-M1 and 3GPP NB-IoT, while other alternatives such as LoRaWAN™ are based on as specification from the LoRA Alliance and uses unlicensed industrial, scientific, and medical (ISM) radio band/spectrum. Mike presented several LPWAN use case studies, including: tank monitoring in Mt. Oso, CA; point of sales terminals, kiosks, vending machines; oil and gas; distributed energy resources; agriculture; and a real time control school traffic sign (T-Mobile using NB-IoT equipment from MultiTech (the first public NB-IoT demo in North America). Mr. Finegan concluded by emphasizing the importance of security functions needed in an IoT Connectivity Platform. A “trusted IoT platform” should reduce attack vectors, provide secure and reliable end to end communications, and device to headquarters management services. The framework necessary to build holistic infrastructure that leverages capabilities essential to realizing the full potential of smart cities – concepts including curbside computing power, advanced energy resiliency and ubiquitous connectivity. An interesting observation was that fiber trenches being dug to facilitate 5G backhaul for small cells and macro cells could accommodate electrical wiring for power distribution and charging of electronic vehicles within the city limits. At it’s booth, Analog Devices/ Linear Technology displayed an exhibit of SmartMesh® – a Wireless Mesh Sensor Network that was based on a now proprietary extension of IEEE 802.15.4 . SmartMesh® wireless sensor networking products are chips and pre-certified PCB modules complete with mesh networking software; enabling sensors to communicate in tough Industrial Internet of Things (IoT) environments. Note 1. IEEE 802.15.4 is a standard which defines the operation of low-rate wireless personal area networks (LR-WPANs) via PHY and MAC layers. It focuses on low-cost, low-speed ubiquitous communication between devices. The Industrial Internet of Things (IoT) wireless sensor networks (WSNs) must support a large number of nodes while meeting stringent communications requirements in rugged industrial environments. Such networks must operate reliably more than ten years without intervention and be scalable to enable business growth and increasing data traffic over the lifetime of the network. More information on SmartMesh® is here.